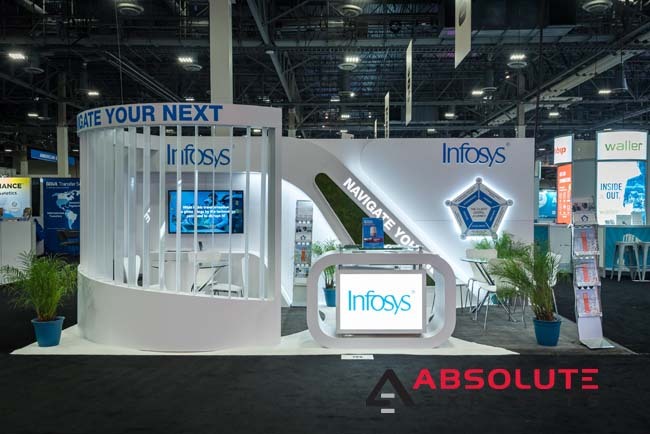 Brighten Your Exhibit with Light Boxes | Absolute Exhibits, Inc.
Exhibit halls are often very crowded spaces and it can be difficult for brands to stand out among some of the larger exhibits. So how do you draw people to a 10×20 or 20×20 exhibit when you’re potentially overshadowed by a 50×50 or 100×100 exhibit that’s caught everyone’s eye? One way you can stand out and be noticed is with the use of light boxes. If you’re not familiar with light boxes, they are often back lit graphics or logos that are incorporated into an exhibit to showcase the brand, its messaging, or its products. Light boxes can be small or they can be incorporated into larger structures such as arches. They are incredibly versatile and an attractive way to enhance your exhibit. Learn more about how you can use light boxes in your next trade show exhibit to stand out among the crowd. A very popular way to use light boxes in your exhibit is to place one or more at the edge of your exhibit to make your logo stand out. This is an easy and inexpensive way that brands can stand out on the trade show floor. The reason why is that people are attracted to light, motion, and video when they’re walking a trade show floor. Light boxes catch people’s eyes, piquing their curiosity about your brand. Whether your exhibit is small or large, using a light box to illuminate your logo can be a great way to stand out on the trade show floor. What’s the best way to convey your unique messaging to prospects or trade show attendees? Why illuminating it in the structure of your exhibit. By incorporating light boxes into your exhibit’s structure, such as an arch, you are able to project that messaging further and catch the eyes of passerby. The key to effective messaging in this manner is to go bold with your graphics and keep your messaging concise and on target. This way people don’t get lost in paragraphs of words and tune your brand out. 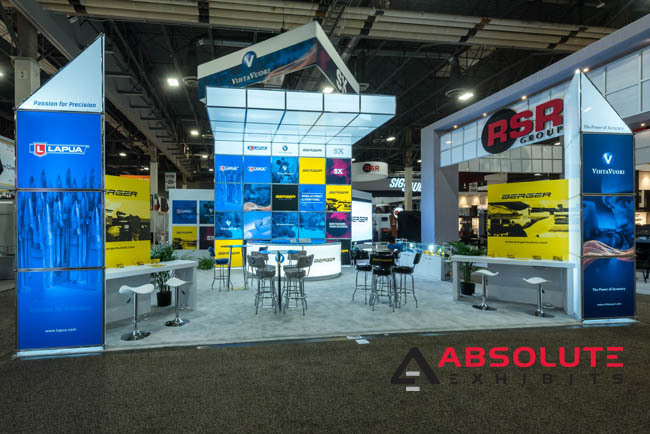 If you’re looking to enhance your exhibit with even more illumination to truly stand out brightly in the exhibit hall, consider incorporating light boxes into your overall structure, including your back wall and overhead pieces. Whether blank or featuring bursts of color, this can be a great way to stand out from your competition. 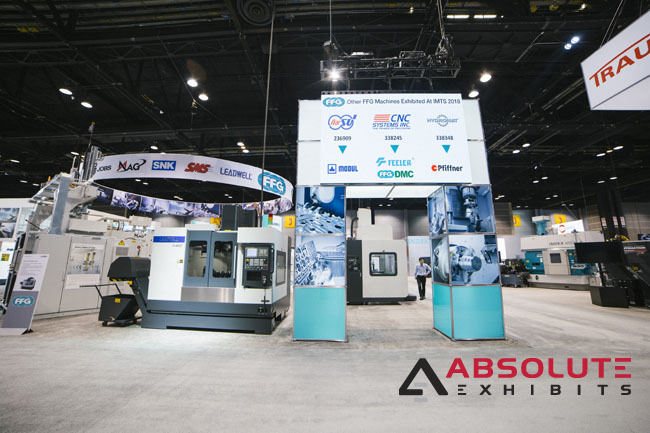 Your brightly lit exhibit will be easier to spot from across the exhibit hall than an exhibit that is frankly, composed of more muted tones or building materials. Everyone wants their exhibit to be seen among the crowds so they can reach more potential customers at a trade show. Try incorporating light boxes into your exhibit and see how much more brightly you’ll shine on the trade show floor.